Well...at least I made progress this week! 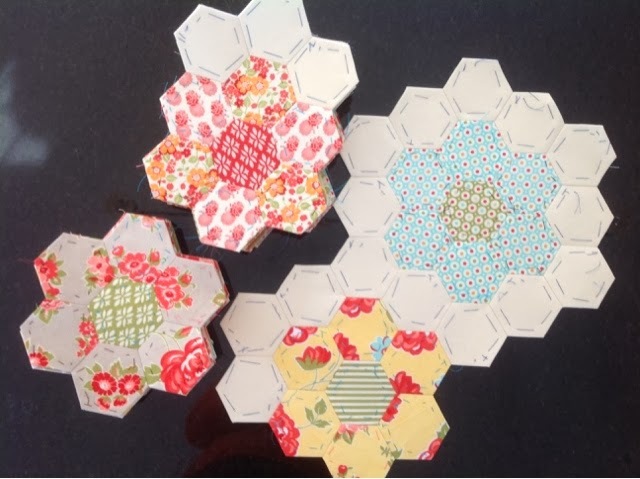 I finished 4 hexie flowers. 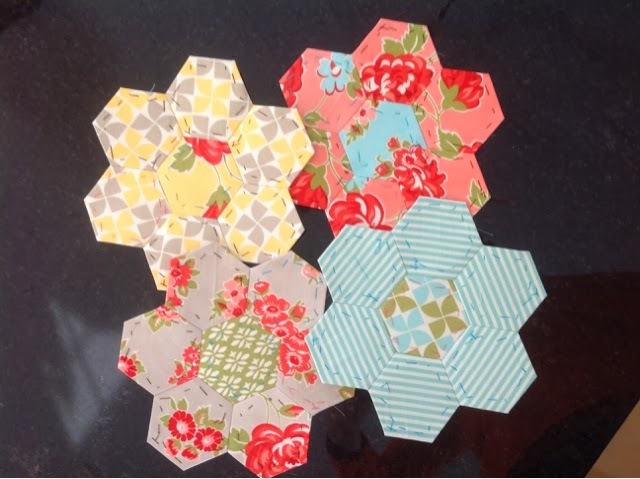 And I now have 16 flowers, 19 flower sections with the added background hexies, and it looks like I should start putting some sections together! 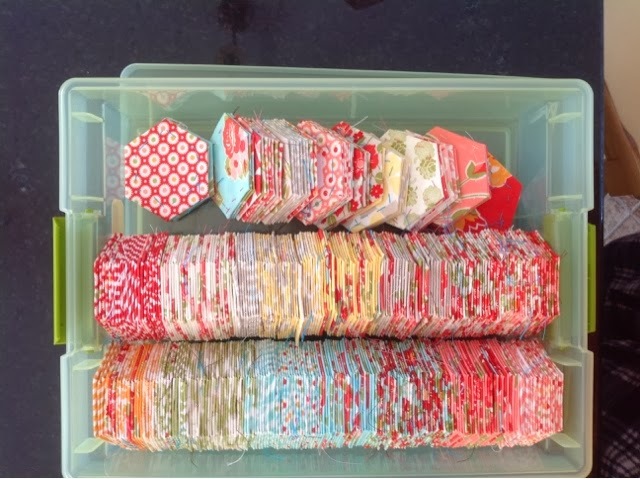 My hexie box is getting low :(, but that means I have made a lot of progress!! This week my focus is to make more sections and start stitching them together. I can't wait to see how it looks! I'm very excited to be linking up with Jessica at Life Under Quilts! So so so pretty! Your box of hexies looks good. I'm excited to see your sections coming together. It's looking lovely!